While everyone has been taking their summer breaks, there has been quite a bit going on at our little Lodge on the North Bank of the Columbia River! From conferring degrees, to maintenance on our lodge building, to power outages, it has been quite the dynamic couple of months this summer. North Bank is pleased to welcome Brother James Beebe to the ranks of those who have been raised to the sublime degree of Master Mason! On the 21st of July, brothers from around District 19 joined together to confer the degree for Brother Beebe. As always, we so appreciate all of our Brothers and their help in bringing our Brother to this next step in his Masonic journey. We were also able to complete some necessary maintenance on our lodge building this summer. For a number of reasons, weather being the largest, we weren't able to seam-seal our parking lot last summer, though we were able to complete some major maintenance on our parking lot drain system. This summer, with the help of a number of our Brothers (Beebe, Soncrant, Erickson, and Brunsdon to name a few), some preventative maintenance was performed on our facility which will help maintain the investment all of our brothers have made over the years. Keeping our lodge facility in working order, and an asset to all members of the Masonic Family in our area, is a responsibility our lodge takes very seriously. Thanks to all who turned out to lend a hand! While we were able to complete out maintenance tasks, occasionally there are unexpected things afoot in Washougal. At a recent lodge meeting, we lost power at our lodge. This didn't mean that the light of brotherhood wasn't shining at North Bank! Even if it is by candle-light (or flashlight as the case may be), all present enjoyed a laugh and a great time together as we waited for our friends at Clark PUD to sort out the problem. Lodge's used to meet by candle-light regularly; it's fun to reflect on those Masonic brothers experiences of Masonry! A few closing comments from your Web Master. First, remember that the date of the North Bank / OES picnic has changed and will be occurring on August 24th at 12PM. Be sure to attend if you can; it's always a great event to help kick off our Masonic season. If you have questions or need directions, call 360-834-2940. Second, our latest Trestle Board has been posted and is ready for your reading pleasure! 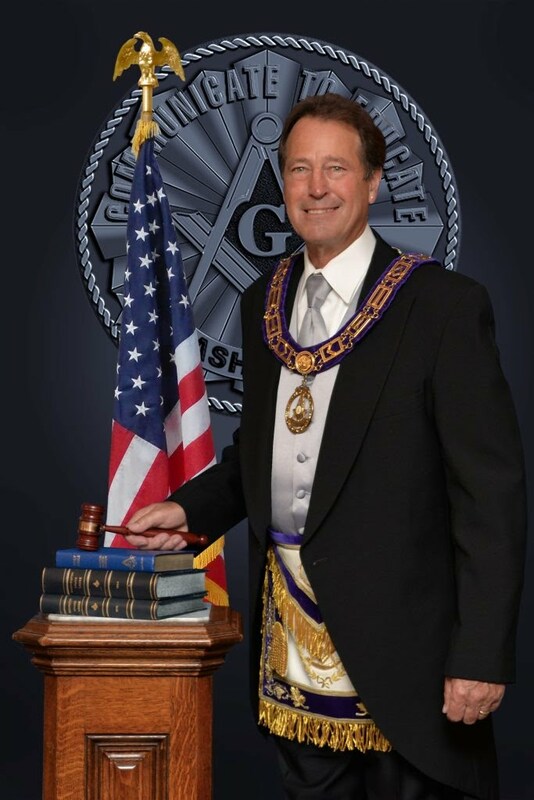 Click here to read it, or check it out in the Masonic Library section above and to your left. Looking forward to another great year of Masonry at North Bank Lodge #182!